Apparently Apple has access to the hardware based MPEG decoding routines in the GPU but doesn't make those publicly available to folks like ElGato. So their DVD player works smoothly but EyeTV hits the CPU pretty hard. Note: it uses /tmp to store the cache as it processes, so keeping your EyeTV library on an external drive should help; less conflicting read/writes when on two separate disks. I borrowed a friend's 1.25 Mac mini to try out with my EyeTV 200 (analog) and EyeTV 500 (digital). The 200 worked fine. The 500 recorded okay, and played back 'fullscreen' (my 37" Sharp Aquos is at something like 1344 x 768 via DVI, dot for dot mode) pretty well .. maybe a dropped frame here or there, but nothing that made me freak out. 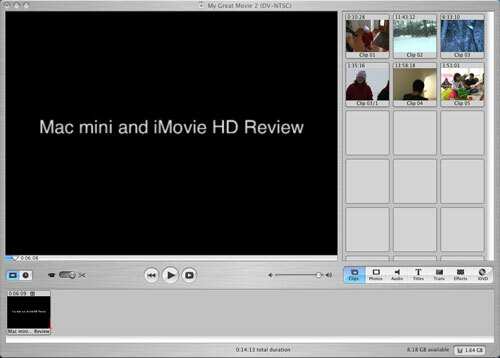 Even if I wasn't happy with playback I could always use the Virtual DVHS app mentioned in the article; it played back the LOTR clip available on BitTorrent just fine, recorded and played back fine, and I also recorded from the EyeTV 500, edited out commercials, and played back the stream via VDVHS. All worked fine. I too was bummed that Apple didn't think to include a digital out like they did on their AirTunes-enabled Airport Express. But for now, I'm ordering the M-Audio Sonica Theatre with coax 7.1 output. Re: remote controls. Watching live TV, even HD TV using EyeTV is a real pleasure. It has an IR remote. 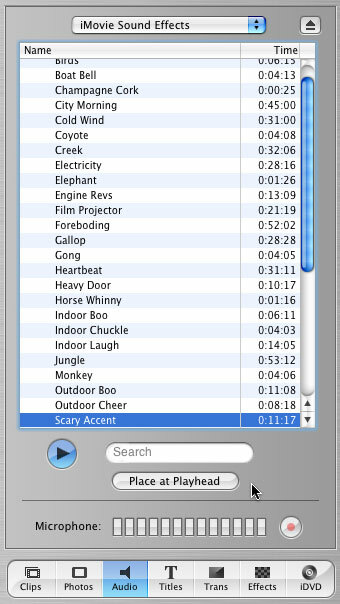 It lets you do 7 second instant replay and 30 second commercial skip just like TiVo, timeshifting your TV. People like myself are petitioning ElGato to include access to IR codes received via the SDK, e.g. the ability to map specific signals to run applescripts, shell scripts, and so forth. One guy on AVSForum wants to use an IR remote to output serial commands to his tuner and TV. There is already the IRTrans and iRed software available to do this as well. Originally I used the EyeHome, which is a sort of thin client; it browses pages served by a (sadly, closed) Tomcat server running on the Mac. 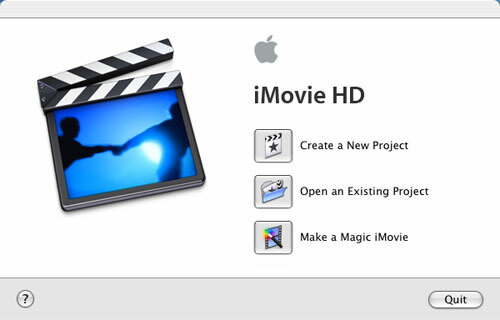 It serves eyeTV recordings, ripped movies, iPhoto Library slide shows, iTunes songs/playlists, and lets you browse webpages on screen. But network latency makes it fall off. 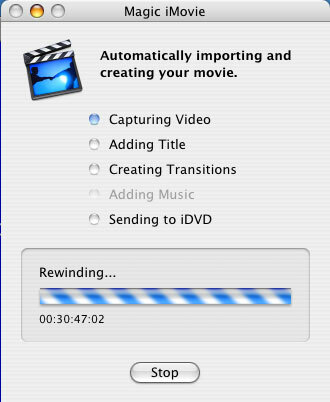 No on-screen 'time elapsed/remaining'. 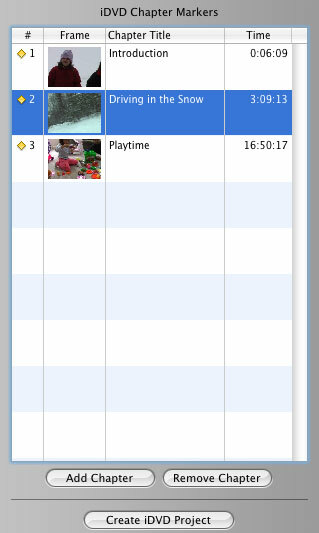 Can't get back to where you were easily if a program dies (happens WAY too often especially when trying to ffwd/rew, then hit play again... zoop, dies.) The interface is fairly hard to navigate. So I'm eschewing the eyeHome for a Mac mini. With a bluetooth module, and a wireless keyboard/mouse bundle, that's a far better remote IMO for doing other stuff besides EyeTV playback. I found myself missing iTunes for playing music, iPhoto for doing slide shows, Safari for web browsing -- you get the point. So, having an actual computer in place of eyeHome will be nice. People keep saying that some kind of breakout box for the Mac mini needs to happen. IMO it's already here, it's the EyeTV. That plus external drives, and i.Link support -- just make sure all your devices have two ports (eyeTV does; other world computing sells the Mercury external enclosures with 2) or that you have a firewire hub, etc. Thanks #20. That would work perfectly and not take up too much space or add more noise. When viewing interlaced content on a PC, I usually do not use de-interlacing, as the slight resolution improvement is not worth the artefacts. 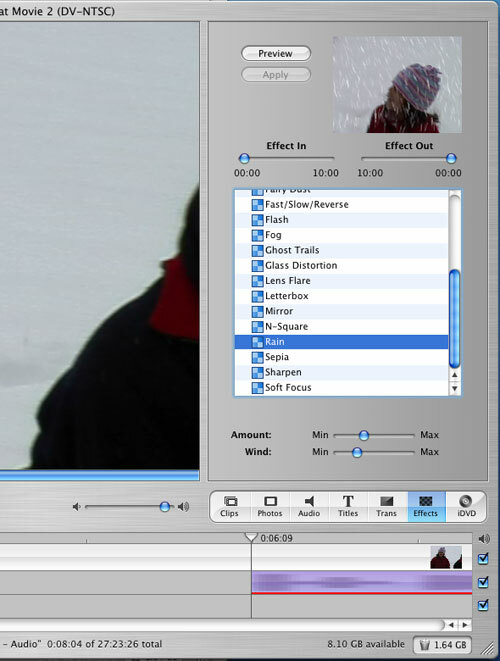 Can the Mac also play DVD's without de-interlacing? And does that solve all artefacts? Interesting. I didn't know HD recording was possible. You can get an HD tuner card for a computer, but is limited to over the air broadcasts, so big deal. 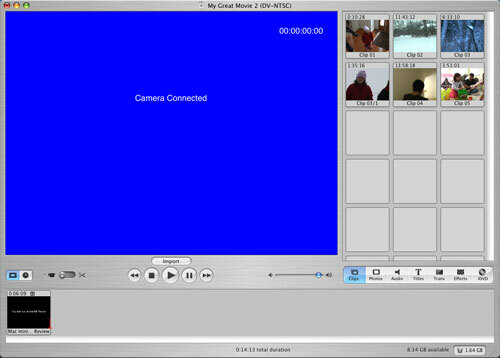 So what kind of software is available to let me record video through my cable box's firewire connector for the PC? Anyone? 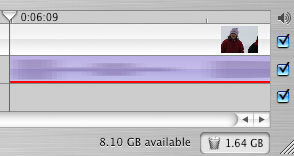 How much disk space will a 2 hr HD video stream take up? I'm guessing around 8-16 GB? -as poseted by #20, use m-audio USB TOSLINK out to surround sound reciever. Works fine with the Apple DVD player. -Wait until video core upgrade comes along in v2. I wont buy it unless it handles 1920x1080P/30 flawlessly (yes, 1080P will be available on HDTVs this year, no content available but available as an input). That would require something like a 9600 with 64MB vram. -use the Mac Mini as a HTPC client box, having a server someone else in the house with many video capture cards and some sort of remote scheduling front end (doesnt MythTV or one of those have a OSX front end available?). Also, the large server could also handle the massive storage requirements needed for HD. You want something like this, mlittl3? Since the Mac Mini has USB 2.0, are there any external USB audio solutions from any of the sound card manufacturers like Creative that supports Mac OS X? If so, this would be a way to get 5.1 and 7.1 audio onto the Mac Mini. However, this would require a little more space. You would have to stack the device on top of the mini. I can't possible see hard drive space being a problem. Just get an external firewire or USB 2.0 drive like #18 said.